Power star Pawan Kalyan had announced his intention some time back of entering production with the objective of encouraging. 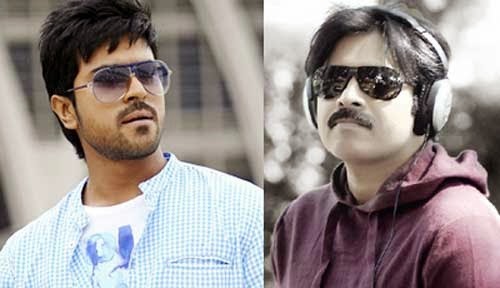 young heroes and also encourage new talent in the industry on his own banner, Pawan Kalyan Creative Works. He will be producing a film starring Ram Charan in the lead soon. Then after, he will also encourage new actors and new directors. He is keen on providing a platform to showcase their talent. He will also produce films for sub-regional markets like Hyderabad and Deccan films. 'Pawan Kalyan Creative Works' has informed that more details will follow shortly. Pawan was busy with Gabbar Singh 2 and there are a couple of proposed projects with Trivikram and PVP that will probably never see the light of day,Recently Dasari Narayana Rao anounced a project with Pawan kalyan under his Production .